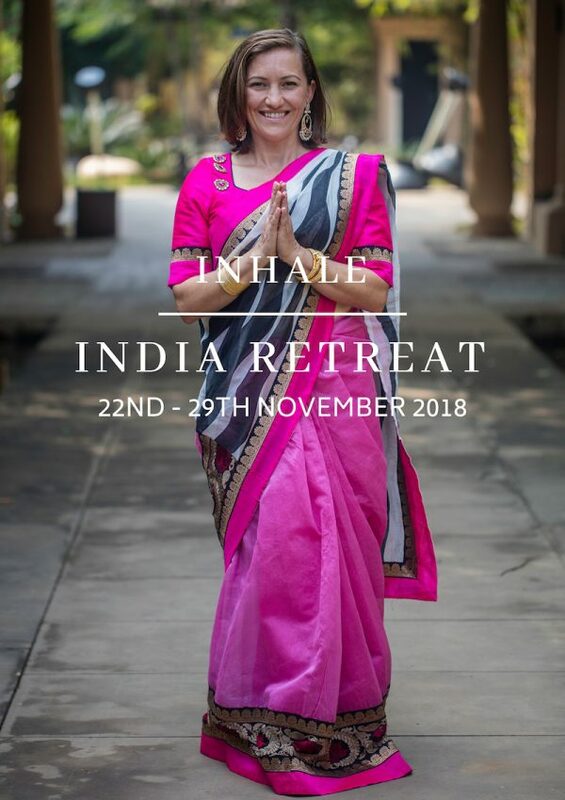 Join Romina on her 4th annual Inhale India Retreat. There is no better time to travel to India. 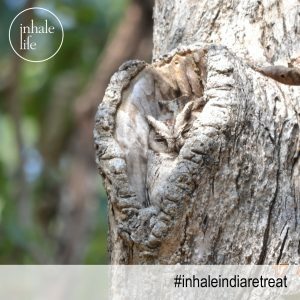 Enjoy 8 divine days in nature, with all the comforts of a luxury retreat setting, and dive wholeheartedly into daily yoga, meditation and nourishing food with nurturing rest. Together we will explore the chakra energy centres, share the magic of Mantra, Tantra and Bhakti yoga. As you discover the geographical journey into the heart of India, you’ll also gently journey inwards to your own heart. Gift yourself time, experience the true practice of yoga, as you dive into the arms of the Motherland. Create space & intention for confidence, clarity and adventure, now and for 2019. This retreat will stay with you for a lifetime. 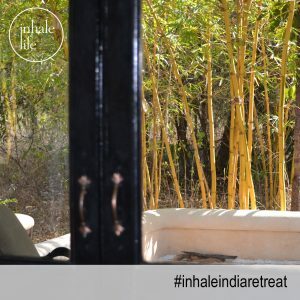 Inhale India Retreat is a unique opportunity, to rest, restore and take the most divine time to explore the wonders of India. 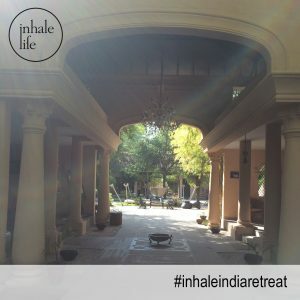 Held in the heart of India literally, you will visit Nagpur, where Romina lived for three years and travel North to the jungle where you will immerse yourself in a luxury retreat setting, there is no compromise. You choose how you’d like this retreat to best serve you. This is not just a holiday, or like any other retreat, this is a rare opportunity for you to pause and spend precious time with yourself. Be guided, inspired and nurtured so deeply that you discover what truly inspires you, what is waiting to be healed so you can open more over yourself up to life. Bring more joy and playfulness into your life and experience an adventure of a lifetime within a culture that enlightens all your senses. For a long time, I was curious about travelling to India. Last year, I decided to follow that curiosity, joining Romina on her retreat to the heart of India, Nagpur. Over these eight life-changing days, I learnt how to be with myself in a completely new way. With the support of Romina’s gentle guidance and expertise, my heart opened, my yoga practice deepened and I truly transformed. This retreat was so well balanced with yoga, rest time and adventure. I absolutely loved it! I have so many wonderful memories of practicing yoga, sharing delicious food, time with like-minded people and seeing wild animals on safari. Ah, the sights and sounds of Mother India! Thank you Romina – these memories of India will always hold very special place in my heart. Choose between luxurious cottages or luxurious tent. All Cottages are adorned with classy finishes and lavish features that create a warm and cozy ambience. The luxury tents, each set on a raised concrete plinth covering the area of 550 sqft. The layout of tent is simplicity and beauty itself. The entry is through a screened area that contains a private dining lounge with chairs and an armchair. These spacious tents are aesthetically decorated and have king-size beds, carved wooden chests and antique furniture. A luxurious bath with modern fixtures makes this accommodation stylish and comfortable. The large outdoor deck and big windows provide panoramic view of the forest. 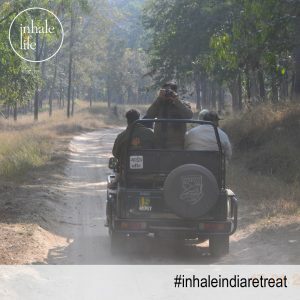 At Tuli Tiger corridor Pench, you will have a real camping experience, without compromising on comforts. All meals are served in the main dining room by the open foyer entrance. The premium dining and bar lounge offers a great view of the Jungle, and serves Indian, Chinese and Continental cuisines. The chefs take special care to ensure the quality of food, is only fresh locally grown organic products from the village nearby. The pool is available to you at all times of the day and the spa is by appointment only. There is a library and sitting area to write, read and reflect. The library provides a quiet corner and offers many books and magazines to settle down with. Daily practice of three-and-a-half-hours with the careful guidance and inspiration from traditional Hatha Yoga practices taught by International Yoga teacher Romina Di Federico. Each day a different focus as we tune into the subtle body and our own innate ability to heal, rejuvenate and transform. There will be daily meditations, breathing practices and journal writing. The Vedas are regarded as the oldest and most sacred written record of knowledge. The Vedas state that a Supreme Being who created the universe, out of love and concern for humanity, gave the divine Vedas to all mankind through the rishis of wisdom. The words of the Vedas were carefully memorized according to metrical chants and transmitted from generation to generation. Thus the four Vedas Rigveda, Yajurveda, Samaveda and Atharvaveda have come down to us through several thousands of years of oral transmission before finally being recorded in writing. Dedicated to the age-old science of Ayurveda, this Spa treats all ailments. 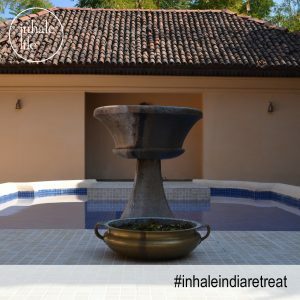 A place where any discerning visitor would like to return, it comprises Total Health Orientation with a living experience of being in Harmony with Nature. You can just lean back and relax in the ethnic surroundings and soak in the ambience. So that you return full of life, enthusiasm and vigour. Pench National Park, nestling in the lower southern reaches of the Satpura hills is named after Pench river which flows from north to south through the Pench National Park. It is located on the southern boundary of Madhya Pradesh. Recently in 1992, Pench has been included under the umbrella of “Project Tiger” as the 19th Project Tiger Reserve. A total of 758 Sq. kms of this Southern Indian tropical moist deciduous forest has its extent mingling with the tropical dry deciduous teak. The area is crisscrossed by a number of streams and ‘nallahs’ most of which are seasonal. Though the Pench River dries up in April end, a number of water pools locally known as ‘dohs’ are found which serve as water holes for the wild animals. The Pench Reservoir at the center of the park is the only major water source during the pinch period. As a prey concentration is high along the Pench River, tiger usually inhabits frequents this belt. Leopard though generally operates in the peripheral areas but are occasionally seen in the deep forest also. Jungle cats are commonly seen. Leopard cats, small Indian civets and palm civets are common but seen rarely. This National Park is carefully and mindfully cared for with full time Park carers, the animals our protected and adored from afar. Book flight from Mumbai to Nagpur (we use Jet Airways or Indigo) arrive in Nagpur mid morning on the 22nd November. Ready to take the experience of a lifetime? To reserve your place complete registration form below together with deposit. Instalment payments available, enquire here. To register complete this International Retreat Registration Form 2018.temp. There are facilities to change traveler’s cheques in Pench. Credit Cards are not accepted at the camp. Tiger Corridor is in the heart of tribal India. It is important that guests are sensitive and considerate to the local culture. While traveling In India – unless you are eating at the best hotels and restaurants avoid raw vegetables, salads, unpeeled fruit, raw shellfish, local ice cream, or ice cubes. Drink only bottled or purified water. Medical insurance is recommended and vaccinations are advised please contact your local doctor or health practitioner for advice. Medicines are readily available in India, but you may wish to bring a small emergency first aid kit with you for your travels, plus any medication you have been prescribed by your own doctor. Comfortable shoes, hats and sunglasses. Clothes should be not be revealing or off the shoulder. Safari-style, casual and comfortable clothing are advised for your stay at Pench and for traveling in India. Warm clothes (including jackets, hats and gloves) are necessary for the cold evenings between November to early March. A thermal vest is useful for the months of December and January. Avoid bright colors for jungle trips. Sun protection lotion, sun hat, insect repellent, and cosmetics. Camera & binoculars — bring all the film and batteries that you may need for your camera as these are not found locally but are available in cities. Binoculars are advised for wildlife viewing. Useful miscellaneous items include a spare pair of glasses or contact lenses (if you wear them), small torch with spare batteries, and a money belt.